I couldn't believe it when I saw this. But the more I thought about it, the more it made perfect sense. 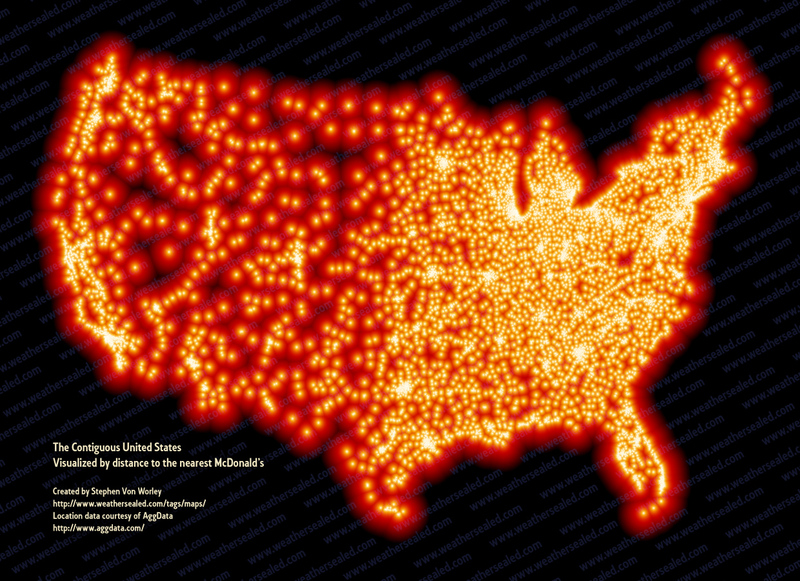 This is the contiguous United States visualized by distance to the nearest McDonald's. They're everywhere and their influence is tremendous. For the majority of children born in the last fifteen years, the first word out of their mouths was not "mama" or "dada". It was a brand, "Coke" or "McDonald's". Sooo, in this day and age of hyper-consumption, whose zooming who in our culture?